In their role as leaders by example, those in management must adhere consistently to laws and directives and behave impeccably, both morally and ethically. For Swiss Post, the “tone at the top” is of the utmost importance. With the leadership compass, Swiss Post provides its management staff with a practical tool that helps them set an example and support the implementation of the vision in a responsible manner. People in management roles must comply with and implement laws and directives consistently and they must behave impeccably, both morally and ethically. Exemplary behaviour of this kind is expected at Swiss Post from members of management, and it is expected at all levels. With the leadership compass, Swiss Post provides its management staff with a practical tool that helps them to orient themselves in the implementation of the vision and exemplify the “tone at the top”. Corporate risk, scope of responsibility and the Ordinance on Executive Pay are taken into account by the Board of Directors when determining the remuneration due to members of Executive Management. The Board of Directors has regulated the remuneration and fringe benefits for its members in the “BoD remuneration regulations”. In 2015, the nine members of the Board of Directors received remuneration (fees and fringe benefits) totalling 964,721francs. The fringe benefits totalling 203,055francs are shown in the total remuneration. In 2015, the Chairman of the Board's fee totalled 225,000francs. The fringe benefits amounted to 27,135francs. 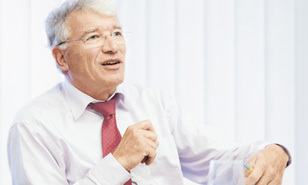 The Federal Council elects Swiss Post Ltd’s Board of Directors every two years. On the reference date (31 December 2015), it had nine members. The Board of Directors is responsible for implementing the strategic goals, for submitting reports to the Federal Council on their attainment and for providing the latter with the information it needs for verification purposes. The Board of Directors is also governed by the rights and duties set out in the provisions of the Swiss Code of Obligations on the subject of corporate law. The seven members of Executive Management and the CEO are elected by the Board of Directors. Each is responsible for the operational management of the organizational unit assigned to them. The CEO represents Executive Management to the Board of Directors. of the members of Executive Management and the Board of Directors are women.